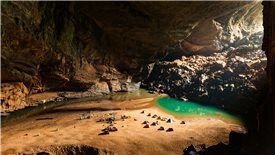 A totally new cave system has been discovered during a diving expedition inside Son Doong – the world’s largest cave. 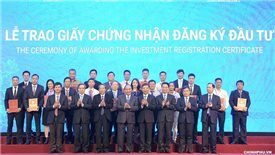 At Quang Binh Investment Promotion Conference held on August 27, Quang Binh People's Committee granted investment registration certificates and investment cooperation agreements for 66 projects with a total investment of VND162,250 billion, equivalent to $7.05 billion, of which FLC Group pledged to make an estimated investment of $2.71 billion. 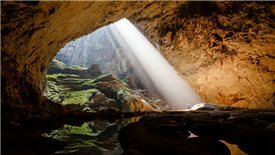 Various interesting arts, sports and tourism activities will be held during the cave festive season 2017 that will kick off in the central province of Quang Binh on June 17. 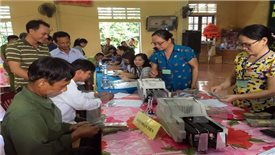 Deputy Prime Minister Truong Hoa Binh has urged four localities affected by last year’s environmental incident to accelerate the disbursement of compensation and complete the process by June 30.